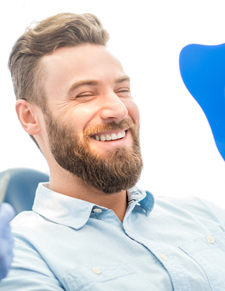 At Friendswood Dental Group, we are dedicated to utilizing the most innovative dentistry techniques and technologies to ensure patients receive the dental care they need quickly and comfortably. 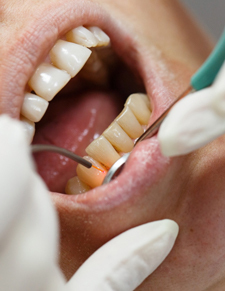 The Chao Pinhole Surgical Technique is a gum tissue treatment that helps patients who have experienced soft tissue recession due to periodontal (gum) disease, tooth loss, or any other concerns. Rather than costly, invasive soft tissue grafting, the Chao Pinhole Surgical Technique allows us to restore full, healthy soft tissue volume using patients’ natural gum tissue. If you want to learn more about the technique, keep reading or call our Friendswood dentist and team to schedule a consultation today. The Chao Pinhole Surgical Technique is an innovative treatment method that allows us to recreate the lost gum tissue without the need for invasive, painful tissue grafts. For patients who have experienced severe gum tissue recession, this scalpel and suture free treatment may be ideal, especially for those who have difficulty healing or who may not be healthy enough for more invasive treatments. The treatment itself is fast and comfortable. We will numb the area to be treated. Then, we apply the small Chao Pinhole tool to the tissue we need to treat. A tiny hole is made in the gums. Next, we insert the pinhole tool behind the tissue creating numerous microperforations that allow us to reshape the existing tissue to recreate the natural gum line. Finally, we place membranes to hold the tissue in its new position and encourage the regrowth and reattachment of the soft tissue. 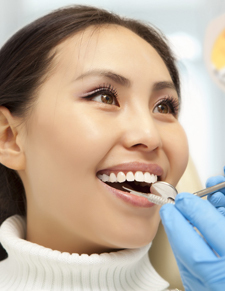 After your Chao Pinhole procedure, you’ll need to be very careful while performing your oral hygiene routine and eating for several days. While this procedure is much less invasive than an actual tissue graft, it can still create some discomfort, and your treatment site will need time to heal. We provide you with instructions specific to your unique procedure to help you get back to full health more quickly, and it’s important that you follow these instructions. We may also provide you with antibiotics and/or specialized mouth rinse to use during your rehabilitation time. Most patients feel significantly better within 48 hours of their treatment, and patients should expect to feel great within a week. If you continue to experience discomfort longer than a week after treatment or you are in severe pain, please call our team immediately.